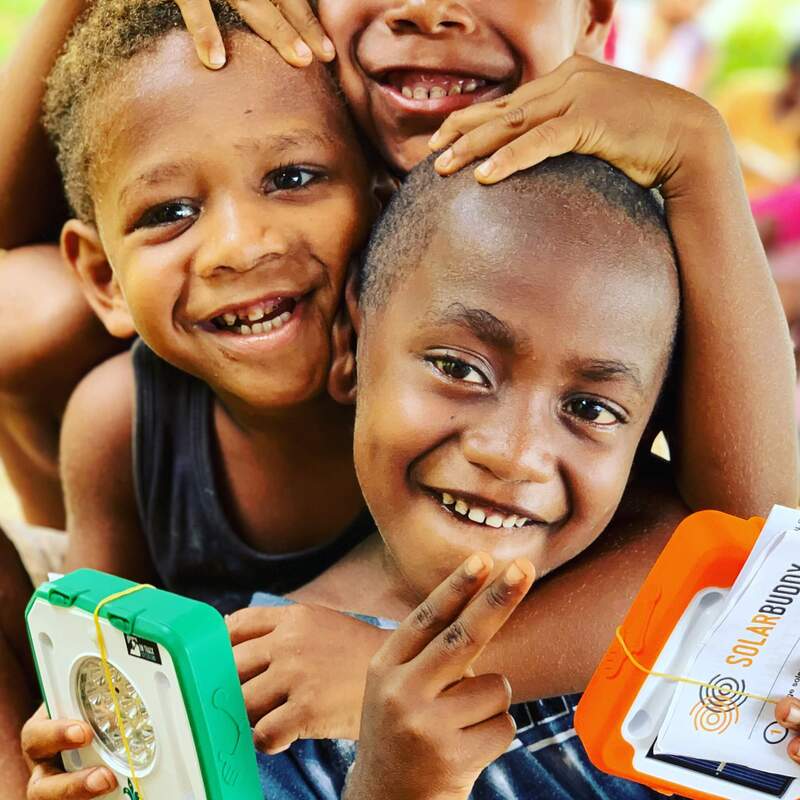 Dozens of children in Vanuatu are thrilled with their bright and shiny life-changing packages after the first delivery of solar lights made by compassionate Australian Scouts through an exciting new collaboration with charity SolarBuddy. Scouts groups assembled 1,500 lights at the 25th Australian Scout Jamboree in Tailem Bend, South Australia, in January as part of the SolarBuddy and Scouts Australia Solar Light Challenge.The first 50 were delivered the same month to children and teenagers in two villages on Vanuatu’s main island Efate by Russell Gauld, SolarBuddy Program Coordinator, and Bobby Hale, National Manager of adventure tour company On Track Expeditions. “The children, aged between 5 and 15, were absolutely delighted to hear that their lights were made by boys and girls of a similar age to themselves,” said Mr Gauld. In Vanuatu, young people depend on dangerous and expensive kerosene lamps or open fire in their daily lives. The lack of access to modern, safe and reliable electricity has a dire impact on health and education. With each light estimated to help at least five people, thousands of lives will be brightened by this solar solution. The work of Scouts at the Jamboree was the culmination of over 4,000 hours of effort over many months. 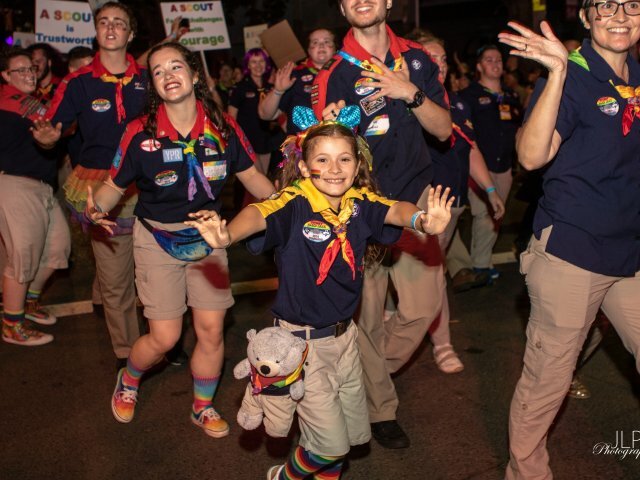 Many Leaders and Scouts played a role, including fundraising. A further 500 lights will be assembled over coming months, with the remaining packages being distributed across the South Pacific throughout 2019 by SolarBuddy. 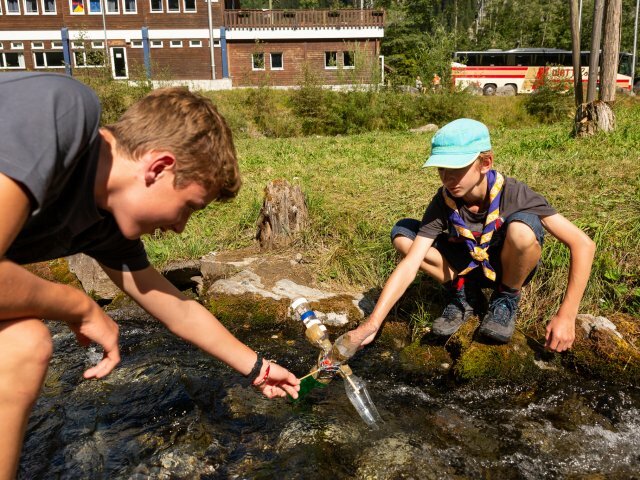 In addition to lighting up the lives of children affected by energy poverty, the Scouts learned about renewable energy, and helped contribute towards the achievement of the United Nation’s Sustainable Development Goals, through the challenge. Donations, both financial and in-kind, were raised by Scouts and other community groups to enable the project to become a reality. 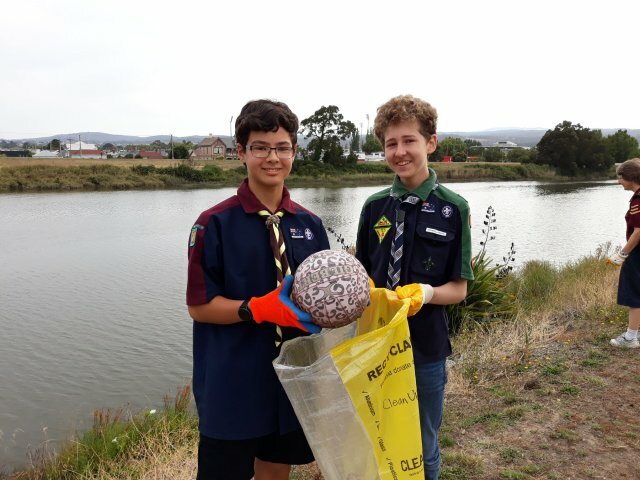 One 17-year-old Venturer Scout from Victoria who is a keen environmentalist raised $400 by tirelessly collecting and recycling old car batteries. Scouts in the Australian Capital Territory also made a major contribution. Other key donations came from On Track Expeditions, the Telstra Kids Fund and SERVICE ONE Alliance Bank. SolarBuddy is an Australian charity working internationally to educate and empower the next generation to change the lives of children living in energy poverty through its innovative school education and corporate engagement programs.